Jamie Cooper is an amazing artist. This former professional footballer in the Australian Football League (AFL) has gone on to create fantastic pieces of artwork that are on display all over the world. You definitely should check out his stuff. Here in America, collectors, sports fans, and art enthusiasts know him best for the Phillies Dream Scene that hangs on display outside the Diamond Club at Citizens Bank Park. 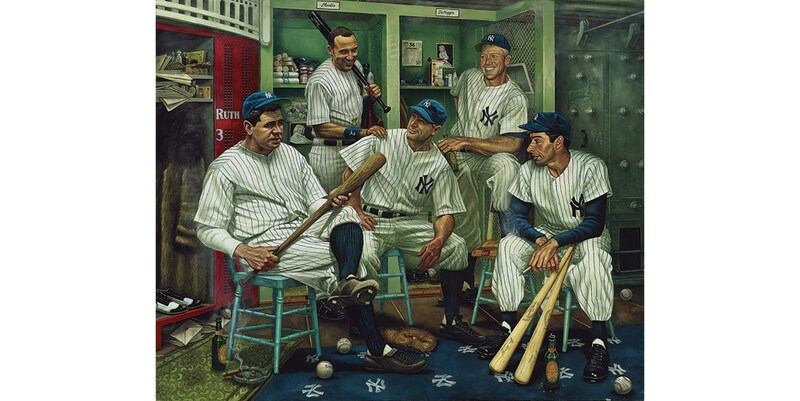 Mr. Cooper has also painted a Yankees Dream Scene which was auctioned off by Legendary Auctions in 2013 in Chicago during the National Sports Collectors Convention. 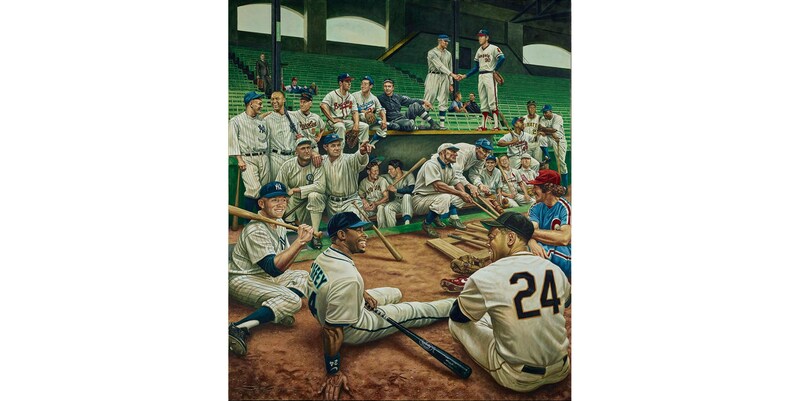 An All Stars Dream Scene was painted too for a private collector in California. Owning the actual paintings isn’t something every collector can do. But that doesn’t mean you can’t enjoy his artwork. High-quality prints are a much more affordable option. Luckily he offers these prints for most of his work. 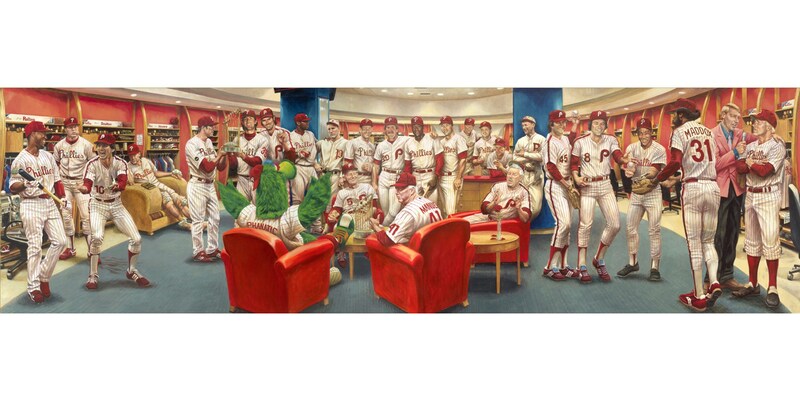 I have one of the Phillies Dream Scene on my wall right now. It looks terrific. Recently it was brought to my attention that counterfeit prints of Jamie Cooper’s work have been floating around. They’ve shown up for sale on Facebook. Judging by the pictures, they’re of very poor quality. You can tell that these scammers simply swiped the images off of his website, and are just trying to make a quick dollar. DO NOT BUY!!! If you see them pop up on your feed, please report it to Facebook. For those of you that did get duped, please let me know how your experience went. If you’re looking for an authentic Jamie Cooper print, the best way to know that its 100% genuine is to purchase it directly from his shop. Take a gander at these fakes. Dan Marino is no stranger when it comes to counterfeit cards. His 1984 Topps rookie has been heavily faked over the years. So much in fact its not safe to purchase one raw. You’re safer buying one that’s been graded and/or authenticated. I’m not saying fakes don’t get by them, but it can drastically reduce the odds of owning one that isn’t real. Rookies aren’t the only cards of his that get counterfeited. Autographs from popular sets are also in danger. Take for example this 1999 Upper Deck SP Signature Edition Autograph. Cards from this set are highly sought after. Especially big name players like Dan Marino. Every 12-pack box featured an on-card autograph inside each pack. Still a relatively new concept at the time. This is also one of the earliest brands to introduce cut signatures. Sealed boxes command major dollars today. The asking price for a single sealed box is usually around $1,000. Another big giveaway is the autograph. Of the counterfeits I’ve seen, the autograph looks nothing like the real thing. There are lots of discrepancies. Dan Marino almost always includes the #13 in his signature. These forgers didn’t even do that. Plus the pen they used looks to be much thicker. For a detailed side-by-side comparison, check out this post over on the Blowout Cards Forums. The 1980’s are notorious for issuing some of the most overproduced garbage collectors have ever seen. Despite that, there are a few gems to keep an eye out for. One of those gems that still holds quite a bit of value today is the 1984 Fleer Update set. 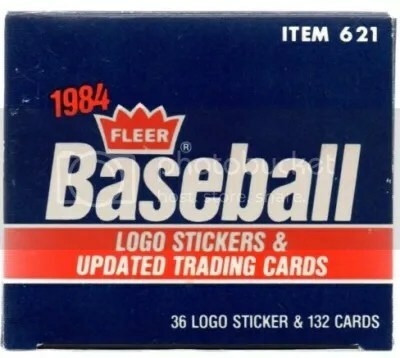 This was Fleer’s very first update set, and contains 132 cards. It had a short print run, and was only available through dealers. The set grew in popularity and prices went up and up. Today a complete set is worth $200.00. That’s a lot considering most sets from the 80’s can’t be given away. Key XRCs from this set include Roger Clemens, John Franco, Dwight Gooden, Jimmy Key, Mark Langston, Bret Saberhagen, Ron Darling, and Kirby Puckett. Even though its far from a rookie, the Pete Rose card is popular with collectors too. 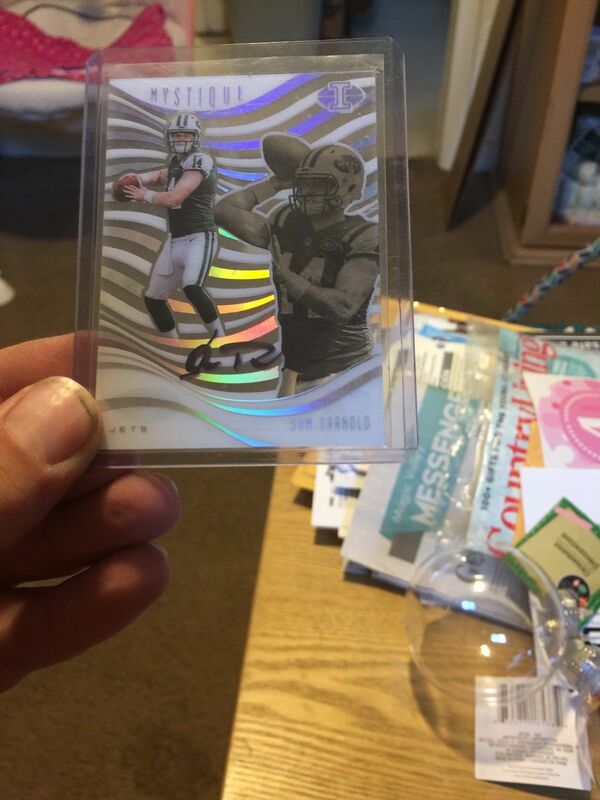 I was on eBay earlier this week and saw something I thought would be good to reinforce to collectors. Many of those key cards were faked and forged years ago. 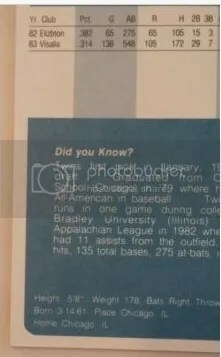 Signs of a counterfeit 1984 Fleer Update card include appearing blurry and having a different print dot pattern when compared to an authentic example. Real cards from this set were known for having terrible centering as well. I’m not saying that real ones can’t have good centering, but most do not. Many fakes have perfect centering. But one of the biggest signs that your 1984 Fleer Update card is a fake is finding a capital “K” in the word “Know” on the back. These fakes are really good looking other than that small mistake. eBay is filled with these fakes, and people are bidding on them. The Puckett and Clemens XRCs are the most valuable today. Raw examples can sell for $40.00 to 60.00 in some cases. You would think eBay would police this, but they don’t. Users can report items, but who knows how much good that does. eBay lets them there so they can collect their fees. Roger Clemens has thrown some heat while taking some heat over the years. This 11x All-Star and 7x Cy Young Award Winner certainly has brought his share of controversy to the game. From hit batsmen to steroids, this guy has put his fans through it all. Even though in June Clemens was found not-guilty of lying to Congress about using performance-enhancing drugs, the fact that he was accused of taking them will be on his record forever and is something fans will never forget. The last time Clemens pitched in a MLB game was in 2007. In August 2012, it was announced that he would pitch for the Sugar Land Skeeters in the Atlantic League. In a way, I guess its an attempt to try and put all the negative press behind him. Despite all the negative press, Clemens is one of those guys collectors still go after. Sure his cards have taken a beating in price, but a lot of people still want him. 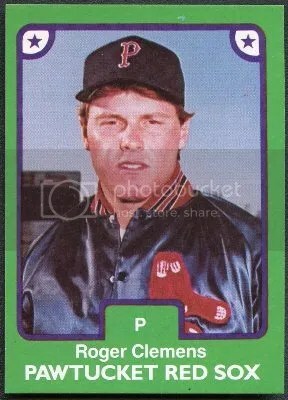 One of his most popular cards is the 1984 TCMA Pawtucket Red Sox minor league card. To many Clemens collectors, this is the holy grail along with the ’84 Fleer Update rookie. With the drop in price, this card has become more affordable to those collectors looking to fill that hole in their collection. But be careful, because there is a fair share of fakes on the market. It takes a really good pair of eyes to see this. Look at the right side of the letter “A” and the left side of the letter “W” in the word “PAWTUCKET”. The green space in between almost forms a “V” shape. That is the dead giveaway its fake. The space should be a straight green bar with those two sides parallel to one another. As you can see, the green bar is perfectly straight and the right side of the letter “A” and the left side of the letter “W” are parallel. For seasoned collectors, this is something that most already know. It can’t hurt to be repeated for this still $50.00+ card. 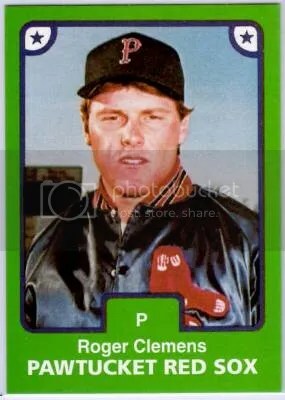 Clemens is the most notable player in the set. TCMA issued a few corrections because the first set contained many name errors. With all of the draft pick products on the market today, its no real surprise that minor league team issued sets aren’t in demand that much. They still make them, and I always pick one up while attending a game. Before collectors had products like Bowman and Bowman Chrome, minor league team sets were a huge draw. 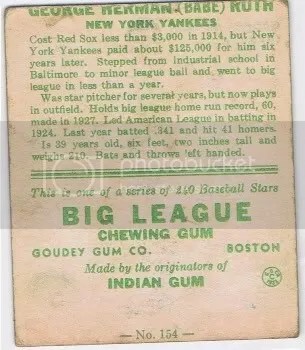 Die-hard player collectors still chase those cheaply made minor league cards, especially if that specific player never had a “First Year” card you would find in a traditional Bowman branded set. 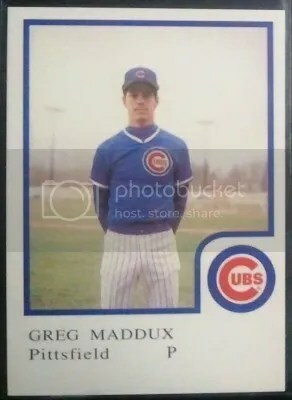 One of the classic cards that falls into this category includes the Greg Maddux 1986 ProCards Pittsfield Cubs minor league card. 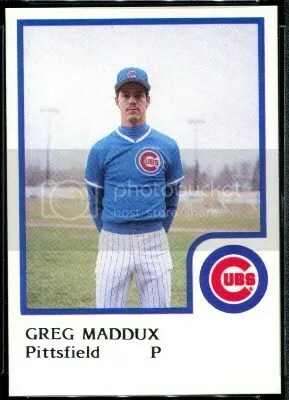 Maddux has a large fan base and this card is the center of many people’s collection. Examples that are in superb condition can easily sell for $1,200.00. 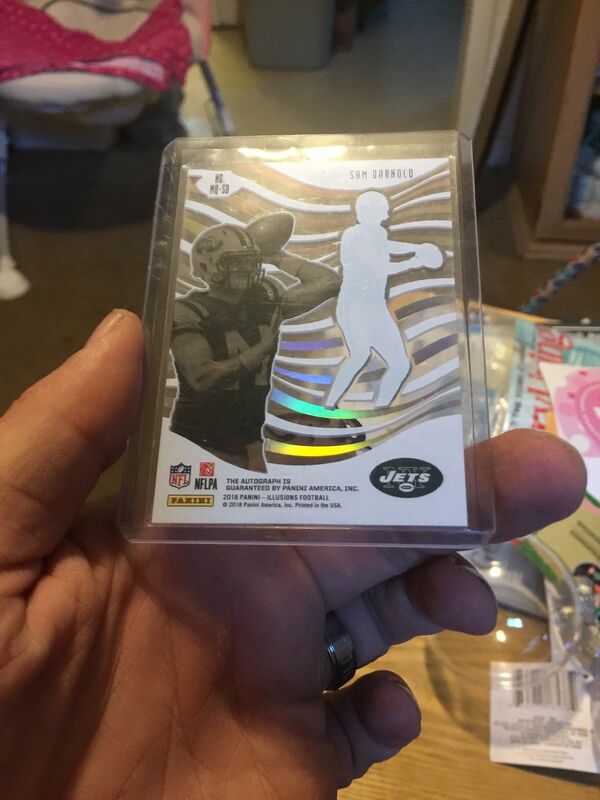 Counterfeiters have taken notice to this which is why the market is filled with fake versions of this card. Luckily there is a way to determine whether the one you are looking to buy is real or fake. ProCards were very cheaply manufactured, which resulted in a minor defect in the printing of his last name. The two letter D’s in his last name are slightly cut off on the bottom. You really need a good eye to see this. Every authentic card has the same defect. Not only is the font a little different, but the two letter D’s in his last name are completely in tact. The D’s on a real one have flat bottoms, where on the fake you can see a curve. Babe Ruth has a lot of iconic vintage cards. One of these cards would be his 1933 Goudey #144. Many consider it to be his true rookie card. It features a full body color shot of the Sultan of Swat swinging a bat. Its a great little piece of artwork. Over time there have been tons of fakes and reprints made and some of them are pretty good. 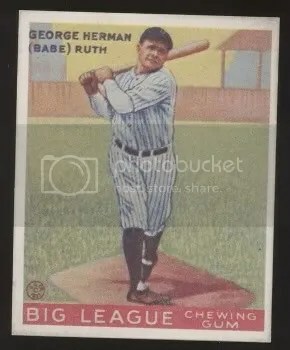 Pictured above is a good example of an original Ruth 1933 Goudey #144. When looking at the back, you can obviously see the card was miscut. The card numbers for this set are suppose to be at the top, not the bottom. Since this card was miscut, you don’t see Ruth’s proper card number 144 at the top. Instead you see number 154 at the bottom. Card number 154 belongs to Jimmy Foxx and if a number had to appear at the bottom of this miscut card, that would be the one to look for. Not every authentic original was miscut, but it is something to look for. You can also see some bleeding on the back, right above the word “New” in the first line of Ruth’s bio. The word “George” is coming through from the front. Most reprints don’t have this. 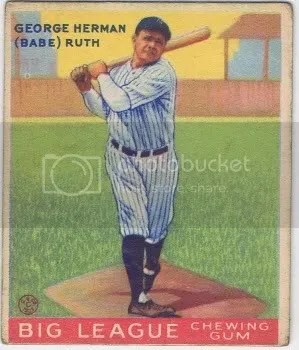 Here is a typical example of a Babe Ruth 1933 Goudey #144 reprint. Not only is the condition a lot better, but look at Ruth’s hat. When you compare the reprint to the original, you’ll notice that on the original there is some yellow space between his hat and the white border of the card. On the reprint there is no space. The reprint shows his hat meeting the border. These tips can be used for most cards that come from the 1933 Goudey set. If you’ve never taken the time to read the back of this card, I suggest you should. It actually makes you feel like its 1933.